Mechanical engineering academic advisors strive to create a welcoming, inclusive, and supportive environmental for all students. Advisors can help students plan their course schedule, identify research and professional opportunities, and more. All students who have declared their major as Mechanical Engineering are advised by members of the Mechanical Engineering Undergraduate Office, who serve as the undergraduate advisors for Mechanical Engineering. The advising offices are located in Rooms 2182-2188 Glenn Martin Hall. Useful information is posted on the bulletin boards outside of these offices or placed on the internal student website. 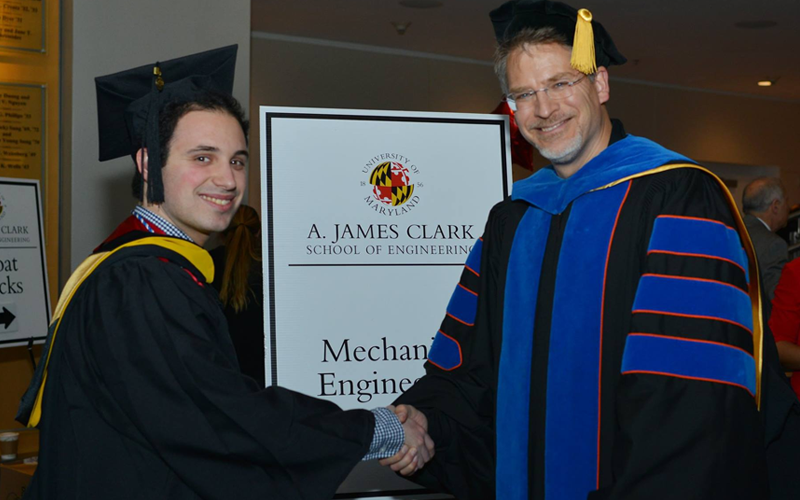 There is a listserv for undergraduates majoring in Mechanical Engineering. All students enrolled in the major will receive messages from the listserv and are encouraged to check the internal student website for information regarding the program, deadlines, registration processes, as well as events, clubs and activities. All Mechanical Engineering students must see a departmental advisor before registering for classes each semester. Departmental approval is required for all ENES and ENME courses. Prior to the pre-registration period each semester, information regarding registration is made available outside the Mechanical Engineering Undergraduate Advising Office (Room 2186) and is sent via the listserv. During the pre-registration period, students will schedule an appointment on-line to see an advisor at meugrad.umd.edu. At the appointment, the student's record is reviewed, the registration block is removed, advice is given on the selection of courses, and permission is given for ENES and ENME courses for the upcoming semester. Then the student is ready to register using the Registration Drop/Add tool found on Testudo at the university appointed time. Registration time and date are set for all students by an automated process. The student's university assigned registration date is posted in the UM portal. It is the student's responsibility to schedule an advising appointment before his/her assigned registration date. The Undergraduate Studies Office maintains a close check on the departmental course requirements. A pre-requisite flow chart is kept for each student. In addition, each student is required to have a coursework plan on file. Copies of these forms are provided at each meeting. It is strongly suggested that each student maintain their own copies of these forms. You can see the course maps and typical four year plans here. For more information about the Undergraduate Program in Mechanical Engineering, contact the Office of Undergraduate Studies.